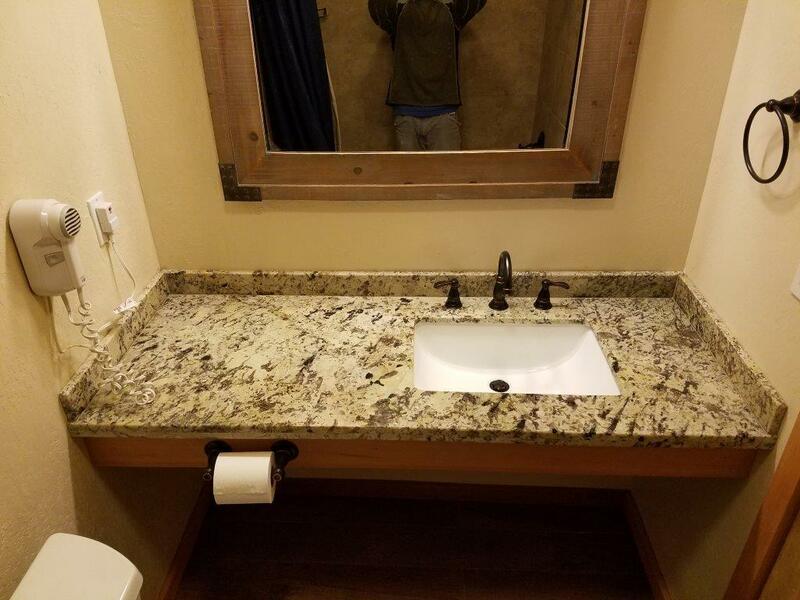 Linkey & Sons Contruction are general contractors specializing in bathroom remodels and renovation in Truckee & Tahoe City, CA. 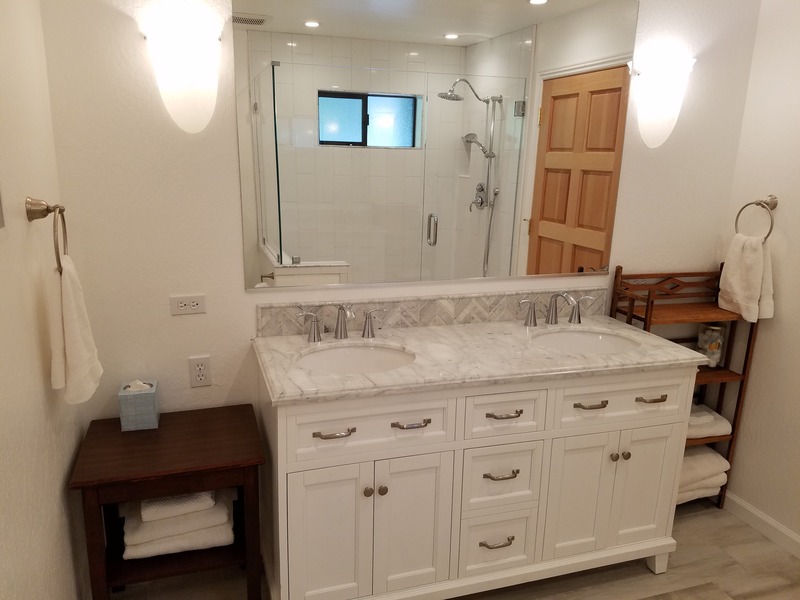 When you are looking to have your new bathroom remodeled, you will want to know that the construction company that you choose has the experience and know how to make it happen. 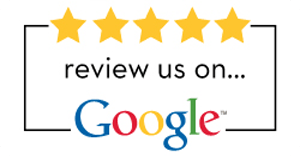 There is so much that goes into renovating and remodeling your ideal bathroom, and we can build if for you. A cramped up bathroom is always a big problem for most families. There are so many things to keep but so little space that you find it hard to move around. An inexpensive remodeling idea will be to install cabinets on the walls. This will free up space on the ground so that you can walk around comfortably. You can also get a customized wardrobe with several drawers to keep all the items in the bathroom in one place. Keep it in a corner and utilize the rest of the space as you want. No other color beats white when it comes to bathrooms. Yes, white tiles tend to get dirty often, but since there will be moisture in the bathroom most of the time, there are lesser chances of the tiles getting dirty. The walls, the washbasins, and all the other fixtures should be white colored. It makes any bathroom look way better than designed tiles. You may have movies where the bathrooms have glass doors, and there is a separate glass chamber for bathing. That looks so cool, right? You can have the same setting in your bathroom too. It will be wise to have translucent glass instead of transparent ones if you have kids and elders in your house. There is an aesthetic feel to this type of bathroom, and it will give an entirely new look that you have always dreamt of. 3D tiles have become the new craze these days. And, why not! They will become the secret ingredient in remodeling the bathroom. In fact, if you get these tiles installed even without doing anything to the bathroom, it will seem as if a lot has been done to the bathroom and you are walking into a new room altogether. There are hundreds of designs available for 3D tiles. You can choose separate designs for different walls to give the bathroom a cool look. Bathroom remodel does not mean you have to break it down and design it again.The use of 3D tiles has improved the tile industry too. More designs are coming up that looks absolutely stunning on any bathroom. So, if you are wondering how your bathroom will be remodeled, then the above ideas will definitely help. Most importantly, you need to focus on what’s more critical for you in the bathroom. If space is the criteria, then go for the space saving options. 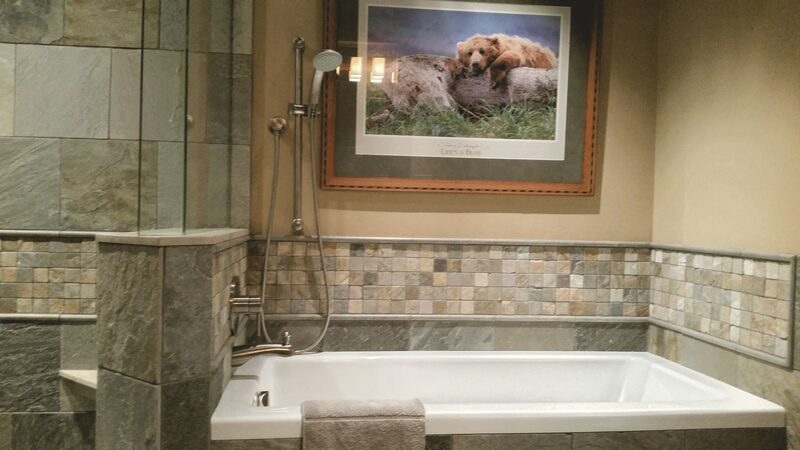 On the other hand, if you want the bathroom to look beautiful, then there are numerous options for that too.